Jon and Cameron have both gotten the chance to give both sets of band samples a test drive. The guys talk overall impressions on both sample batches, what they want to order next, and answer some listener email! 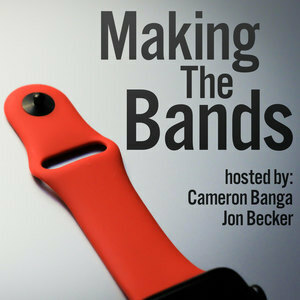 Cameron and Jon have decided they want to make their own third-party Apple Watch band. They've ordered their first run of samples, which will arrived in the next 24-36 hours.